The credit-hour cap proposal going through the Faculty Senate is garnering infamy with the Rice student body. 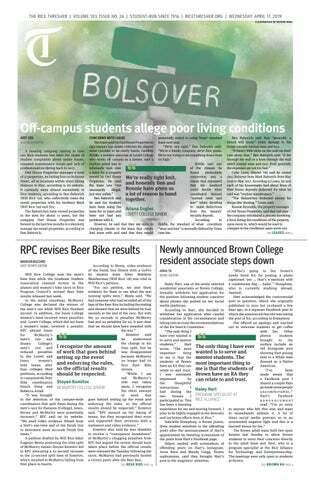 Last week, the Thresher published a few op-eds expressing disgruntlement with Rice academic support systems. Last week, the Thresher published a few op-eds expressing disgruntlement with Rice academic support systems. Perhaps the support systems themselves need support, they argue. Though these articles do raise some valid points and areas of improvement, the articulated dissatisfaction is largely overstated. I hope to clarify and discuss some of the concerns here. I initially became interested in the global impact of neglected tropical diseases (NTDs) during a policy course I took at Rice during my sophomore year; the speaker was President of the Sabin Vaccine Institute Peter Hotez, an expert in the field.